Jimmy joined the Ambassador Program in August 2017 and he is our first Ambassador in Hong Kong. We are happy to have him among us, and we thank him for his dedication to PrestaShop. We are looking forward working on the next events together. We also wanted to know more about him and we wanted to introduce him properly to you. We asked him a few questions, take a look at his answers below. The title would be: “Follow your heart”. My hidden talent is problem solving. A favorite line from a movie? If you could travel anywhere right now, where would you go and why? I would go to one belt or one road countries like central Asia, Kazakhstan, Kyrgyzstan, Tajikistan, Turkmenistan, or Uzbekistan. I want to explore those countries and their business opportunities. What issue/topic keeps you awake at night? The topics that keeps me awake at night are: stock market prices and business trends. What is your favorite local food or drink? 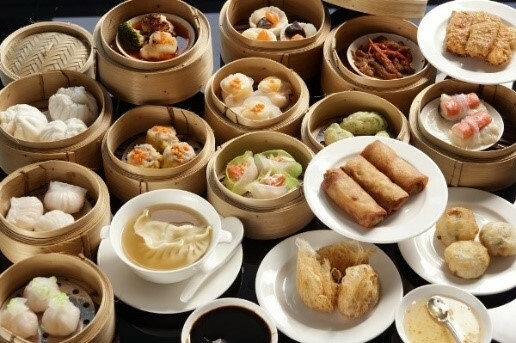 My favorite local food is Dim Sum. It’s just like Steamed Shrimp Dumplings. Hong Kong has the highest life expectancy in the world. That’s a fun fact according to me. Why? Because if you need surgery in a public hospital you’ll generally have to wait more than a year! What do you like the most about your country? What I prefer about my country is that my family and friends live here. What is especially worth seeing in your country? What is worth seeing, is going to the top of “the Peak” and take a 180 degree view of Hong Kong. Hong Kong history museum is also another great place to discover. What is your favorite PrestaShop store? My favorite PrestaShop store is: www.apetsco.com.hk. What opportunities does PrestaShop provide in Hong Kong? I think PrestaShop enabled SME owners to launch and manage their online shops easily. However, users here in Hong Kong still need to be guided because the technical and service support is a crucial concern for business owners. What is your feedback on the new major version, PrestaShop 1.7? Since I don’t have any experience on the older version, I think my first impression on PrestaShop 1.7, is that the UI is very clear and user friendly. How do you stay tuned to PrestaShop’s newest updates? In order to stay updated on PrestaShop’s newest updates, I usually read PrestaShop’s newsletters. What were your motivations to become an Ambassador? When people said they enjoyed meetups and said thank you for hosting them that motivates me. I also enjoy doing presentations in front of people quite a lot. What is your proudest moment as a PrestaShop Ambassador? Sharing and exchanging knowledge with other PrestaShop users, are my proudest moments. Frankly, I’m proud that my eCommerce experience and knowledge can be useful and helpful in the community. What do you like the most about being an Ambassador? Being an Ambassador can help me improving my networking and communication skills. Thanks for providing this special experience in my life. Discover more about his profile and join his meetup group. You want to become a PrestaShop Ambassador? Apply now.